Fewer than 100 Syrian fighters have been trained under a revamped train-and-equip program run by the Pentagon, US media report. The new focus is on training rebel leaders as “spotters” of Islamic State targets for US-led coalition airstrikes, officials say. 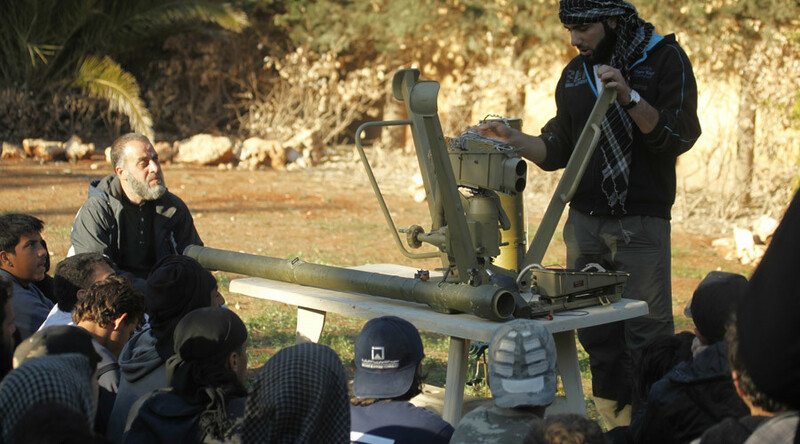 The additional 100 Syrian rebel leaders have been trained to fight Islamic State (IS, formerly ISIS/ISIL) under a new Pentagon-run train-and-equip program since March, US officials who spoke on the condition of anonymity told reporters on Monday. The revamped $416-million-worth program does not include training entire rebel units, according to Stars and Stripes. It mostly focuses on training Syrian rebel leaders as local informants and spotting potential targets on the grounds for US and coalition airstrikes. 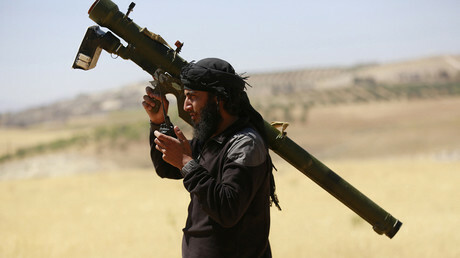 “Rather than training 10 people to use a rifle, if you can train a smaller number of people to accurately describe their own position relative to the position of enemy forces, it enables them to better coordinate resupply and describe enemy positions,” one official was cited by the newspaper as saying. Those trained are reportedly rebel leaders whom military officials describe as “spotters” rather than conventional troops. Under the program, they will be returned to their units in Syria with communications equipment, small arms and ammunition to distribute. Some units are also getting “vehicles and some artillery,” officials said. The majority of the advanced-level training has taken place outside of Syria. The officials declined to comment on those camps’ locations, but earlier media reports indicate that many of the US-run training sites are in Turkey and Jordan. The new program is similar to previous train-and-equip plans, both in terms of scale and budget. Either the Pentagon or the CIA supported rebel units since the outbreak of the Syrian war in 2011, but none of those attempts led to creation of a sustainable fighting force. Following the emergence of IS, the US came up with plans to train a 15,000-strong “moderate” rebel force by the end of 2017, with training sites being set up in Turkey, Jordan, Saudi Arabia and Qatar. But the first program landed in disarray, when last July Defense Secretary Ash Carter informed senators only 60 recruits have passed background checks and were being trained to fight IS in Syria. “I can look out at your faces and you have the same reaction I do, which is that that's an awfully small number,” he said. The Pentagon was granted $500 million for this train-end-equip program in 2015, and has requested $600 million for 2016. The vast majority of the Syrian units has also left the program or turned over their US-provided equipment to other groups. Previous reports of US weapons surfacing on black markets all across the Middle East have raised concerns the renewed program could indirectly be aiding other militant extremist groups. Earlier this week, large shipments of CIA and Saudi Arabian arms for Syrian ‘moderates’ were diverted and sold on the black market at bazaars in towns of Ma’an, Sahab, and in the Jordan Valley, with the theft scheme involving several Jordanian intelligence operatives. It was also believed that some of the stolen weapons were used to kill two Americans and three other people at a police training facility shooting that took place in the Jordanian capital, Amman, in November.